You can submit your app to the App Store automatically with our auto-publishing service called “iOS Auto-publish“. This method doesn’t require any technical knowledge. Note: Unfortunately you can’t use the iOS Auto-publish if you have an Apple account that is “Individual”. Before using this service, please check that your Apple account is not “Indidivual”. Note: Be careful to set Admin as Role, All Apps and Access to Certificates, Identifiers & Profiles, otherwise you will have issues while publishing the app. From your mailbox, accept the invitation and create your new apple account. 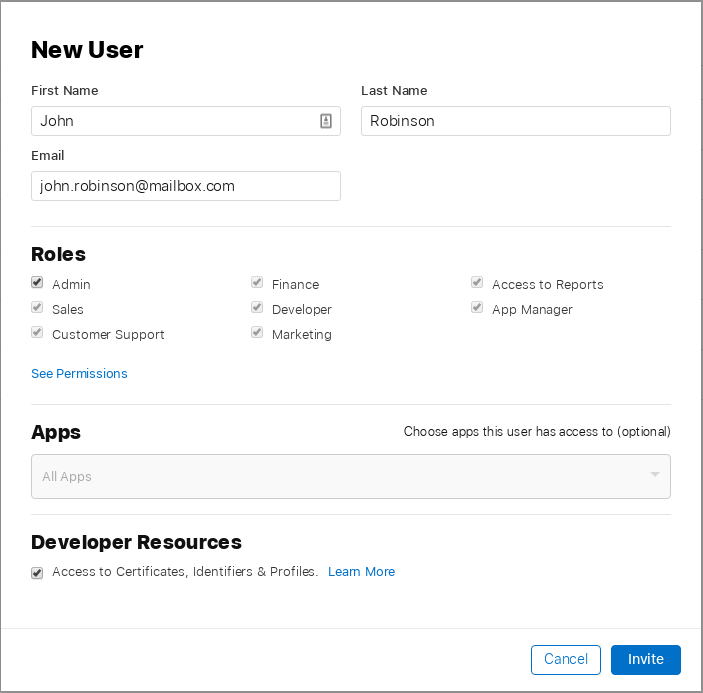 john.robinson@mailbox.com is the new account with Admin role. Select the concerned application in your backoffice Manage > Applications by clicking the button on the right of the list. 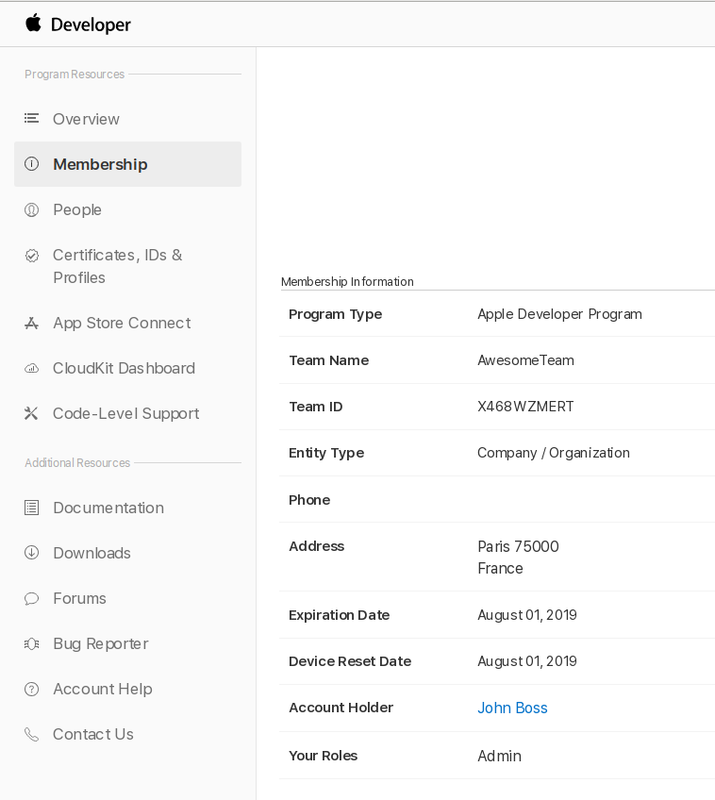 Enter your App Store Connect login and password then enter your Apple Development Team ID, Team name and App Store Connect provider. Select the concerned language and check the appropriate options if needed. Click on Save credentials & settings then click on Request a publication. 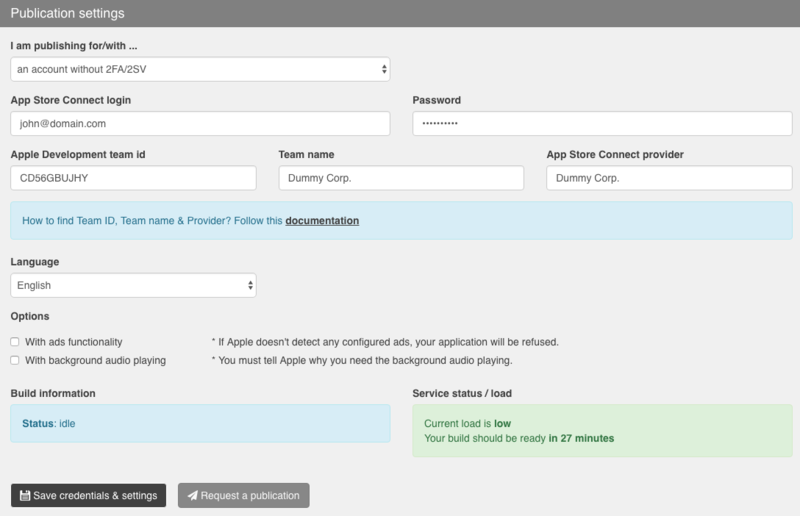 Your app enters the queue and is going to be compiled and uploaded into App Store Connect by our build servers. Note : When you submit your app to the App Store it will be available in 2 – 3 days (depending on Apple). The app is going to be reviewed by Apple and they will send you an email once it is accepted.